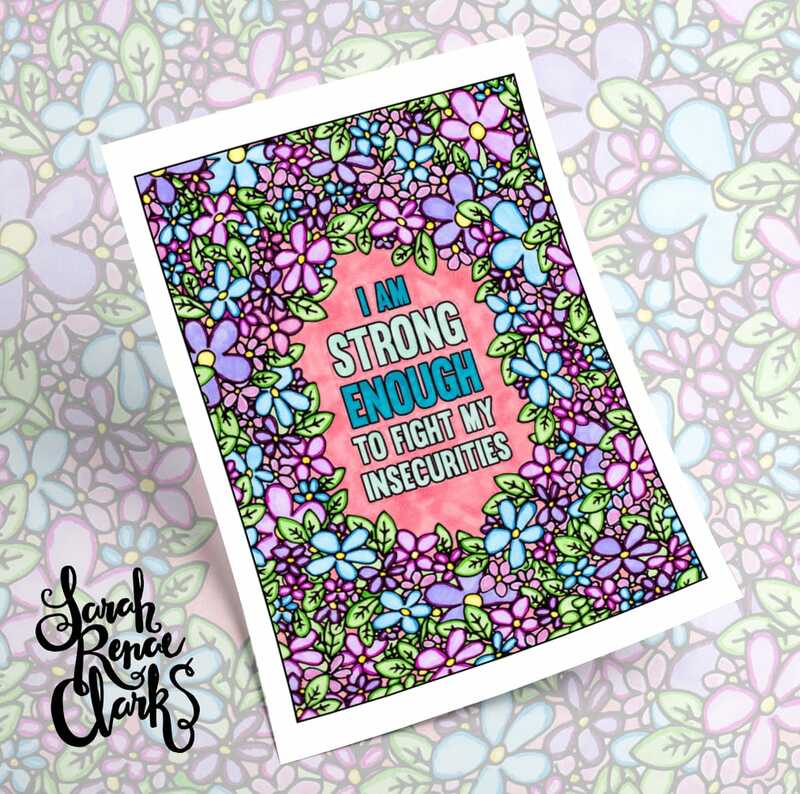 “A Year of Coloring Affirmations for New Mothers” includes 52 pages of positive affirmations to give new mothers the encouragement, confidence, inner strength and coping abilities they need to get through the unexpected ups and downs of the early years of motherhood. 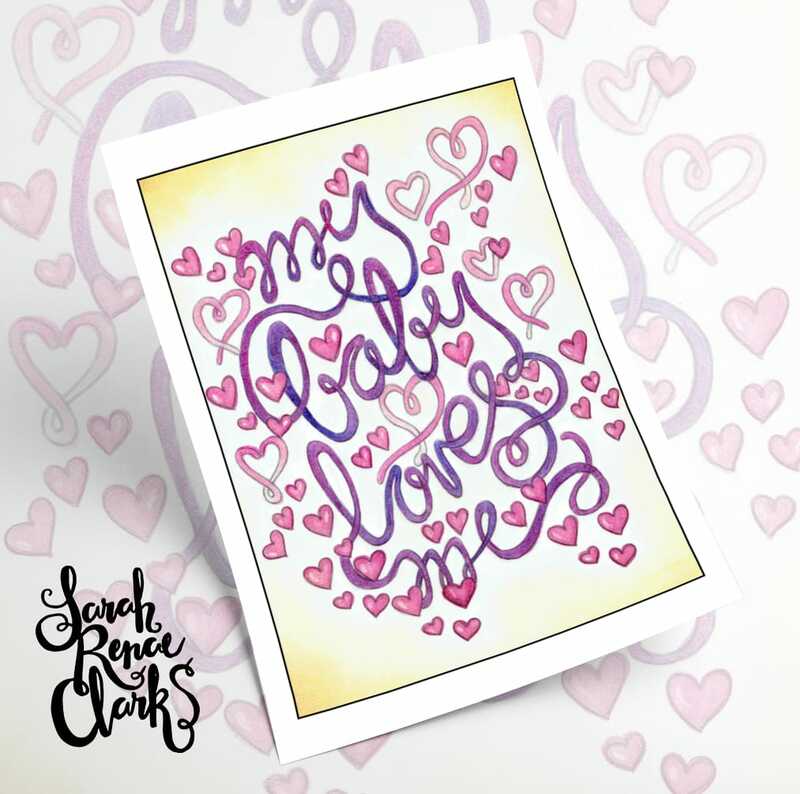 Sarah Renae Clark is the artist – she has created the pages of this book during her own challenging days in her first year as a new mother. “I had a long and traumatic labor that resulted in our little boy being in the special care nursery for a few days after the birth. I struggled with anxiety and post-traumatic stress for about 24 hours after the delivery, when I kept reliving the delivery and thinking I was still in labor. I didn’t have my little baby in my arms to remind me that it was over, and we went home without him, which was one of the hardest things that I never expected we would have to do. After a few days, we were able to finally take him home and begin our journey into the new world of parenthood. Motherhood is something that nobody can really prepare for. You can read every book, follow every routine, do everything right, have the “perfect” baby, and still not cope. Sometimes it’s hormones, sometimes it’s post natal depression, and sometimes it’s just a bad day. In those moments, it’s hard to ask for help, but sometimes all it takes is an encouraging word or a boost of confidence to get through. One positive thought can change your entire day. The word “affirmation” comes from the Latin affirmare, originally meaning “to make steady, strengthen.” When we affirm and meditate on positive thoughts, we empower ourselves to get through and actually see a change in our thinking, feelings, emotions and mental health. Affirmations can sometimes feel forced and it can be hard to embrace them. We are encouraged by experts to repeat our affirmations out loud, multiple times a day. 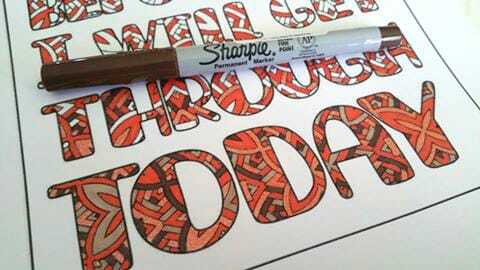 Coloring affirmations combine the therapeutic art of coloring with the power of positive thinking and visualization. Through the meditation and mindful focus of coloring, you are absorbing the positive message on each page without having to force yourself to repeat it. You are expanding the concept of positive affirmations to appeal to more of your senses – rather than just speaking and hearing, you can now touch and visualize as well. By working on the same page for multiple days, you are establishing positive thoughts in your long term memory and changing your entire way of thinking. 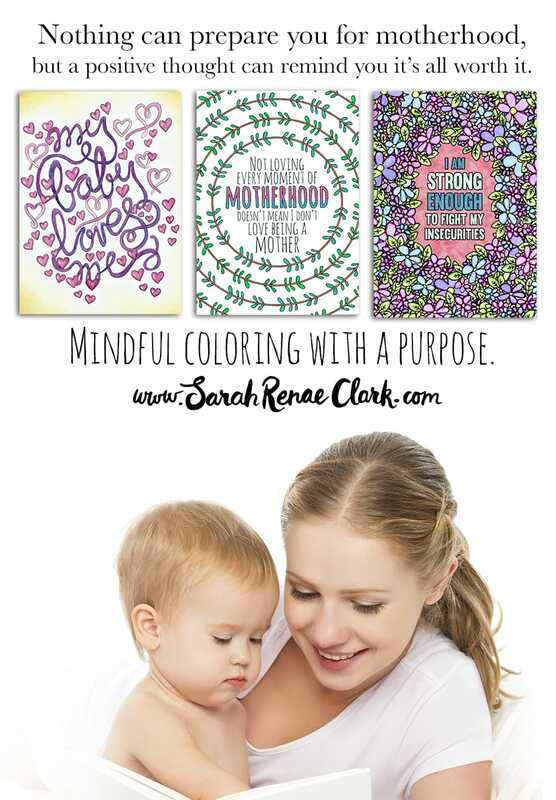 “A Year of Coloring Affirmations for New Mothers” will be released on less than a week on Sarah’s website www.sarahrenaeclark.com and on Amazon. You will be able to purchase it as either a hard copy or a digital copy. You can find out when it is released by visiting the blog announcement on her website. 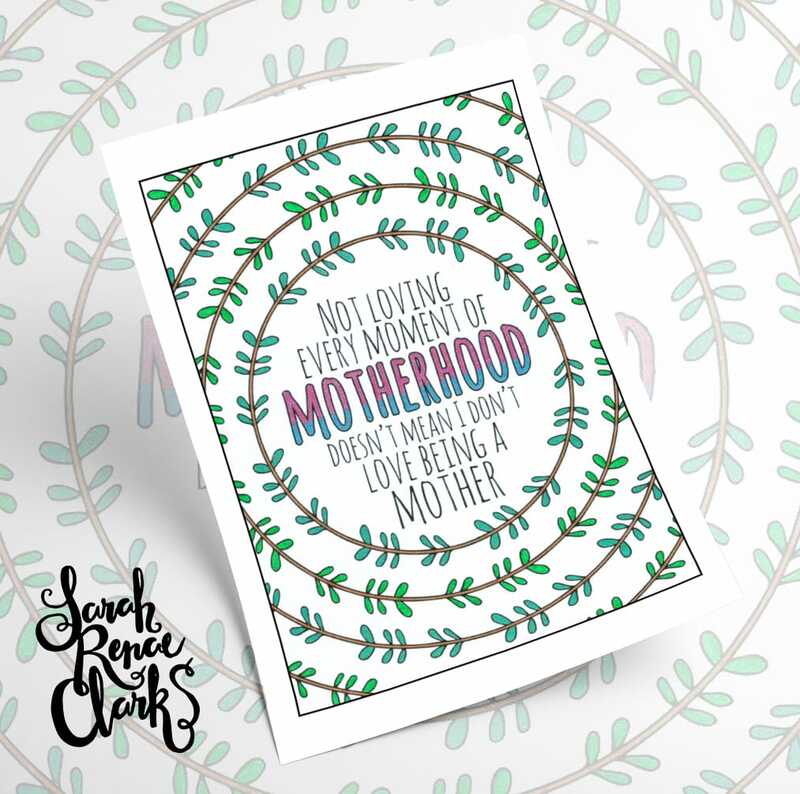 A Year of Coloring Affirmations for New Mothers – It’s finally here! Next story A Year of Coloring Affirmations for New Mothers – It’s finally here!